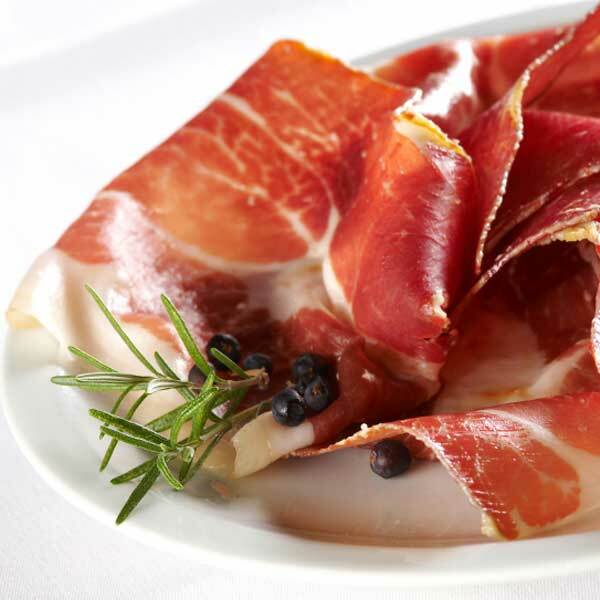 Prosciutto is an Italian cured ham made from the hind leg of a pig, with an intense, slightly sweet saltiness. You don’t get much for your money but every mouthful tastes wonderful. It is served in very thin slices, usually raw and often as part of an antipasti platter. Parma ham is perhaps the most common type of prosciutto and is made from pigs raised in Emilia-Romagna or Lombardy – according to strict rules!